If you're wondering what to get your friends and family this year, why not try something handmade? We're sharing with you a few easy techniques you can use to create simple designs, fast! A handmade jewellery gift is so thoughtful and it's probably not as hard as you think. From necklaces to earrings, take a look below and become inspired! 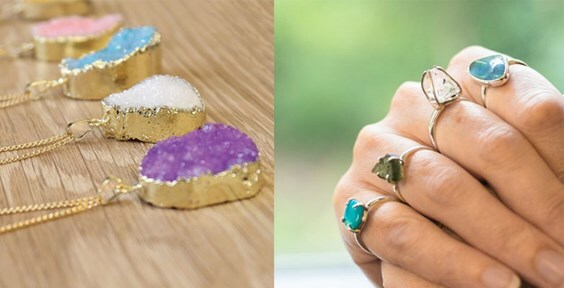 Don't forget to check out our Make The Look section, filled with jewellery making projects for beginners with step by step instructions and a handy shopping list too. What's brilliant about gallery wire settings is that the claws are flexible, making them so easy to set. 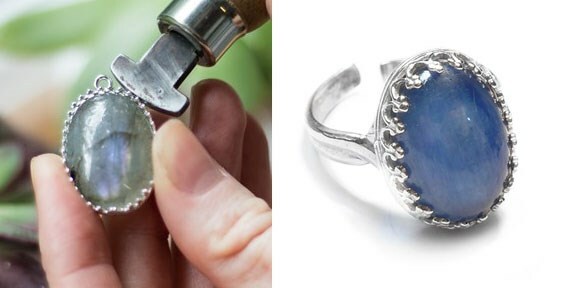 All you need to do is place your favourite cabochon gemstone in the setting and use a bezel rocker or pusher to gently push the wire over the stone to secure it in place. At Kernowcraft, we have gallery pendant settings to hang on a chain, create drop earrings, rings or gallery link settings to incorporate into a necklace, bracelet or earrings. You won't even need to file or polish! 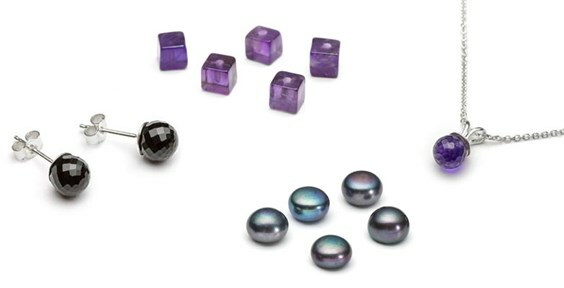 What cabochon will you use? Don't forget to choose the same size setting as your stone! 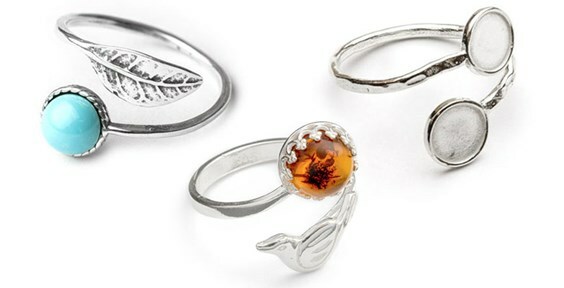 Who wouldn't want a beautiful handmade ring for Christmas? 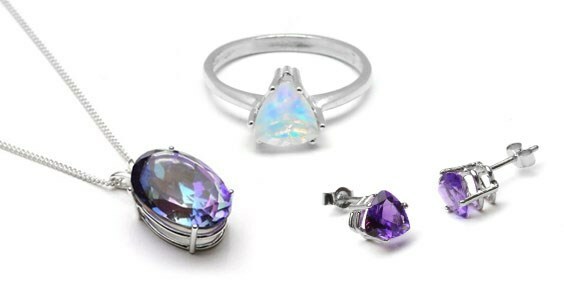 You can choose a beautiful cabochon gemstone to create the look! They're adjustable, meaning you won't need to worry about the size of your friend's finger when creating it. Some rings will need a touch of Devcon epoxy glue to secure the gemstone, whereas rings with gallery wire simply need a bezel rocker or pusher to push the stone in place. We have so many settings to choose from! Still very east to set, but a slight step up from the other settings mentioned on the page. Choose a faceted gemstone and setting of your choice and place the stone in your setting (you may need to use snipe nose pliers to push the prongs out!). Make sure the outside edge of the stone is sitting within the grooves. Use a pusher to push the prongs over the top of the gemstone. Charms have so many uses such as creating bracelets, adding to pendants or using as earrings. If you want something easy, simply add your favourite charm to a chain to make a beautiful necklace. Don't forget to add a jump ring to your charm, so the charm hangs nicely. We have so many charms to choose from, the hard part is finding the perfect one for your friend! Discover half drilled beads for earrings and pendants! Take a look at our cubed and faceted varieties for your jewellery designs! Just pop some Devcon epoxy glue into the bead and place them onto the ear-stud setting. 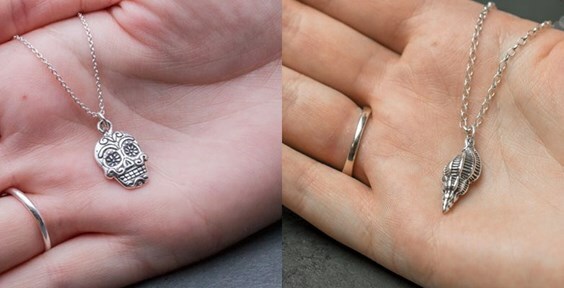 For pendants, we'd recommend using our sterling silver pearl bail with 3mm cap and peg for a simple design! Our hidden treasures! Did you know we have a whole range of ready to wear jewellery? Perfect for a last minute Christmas gift! Filled with crystal pendants, chip bead bracelets and rings just waiting for a new home! 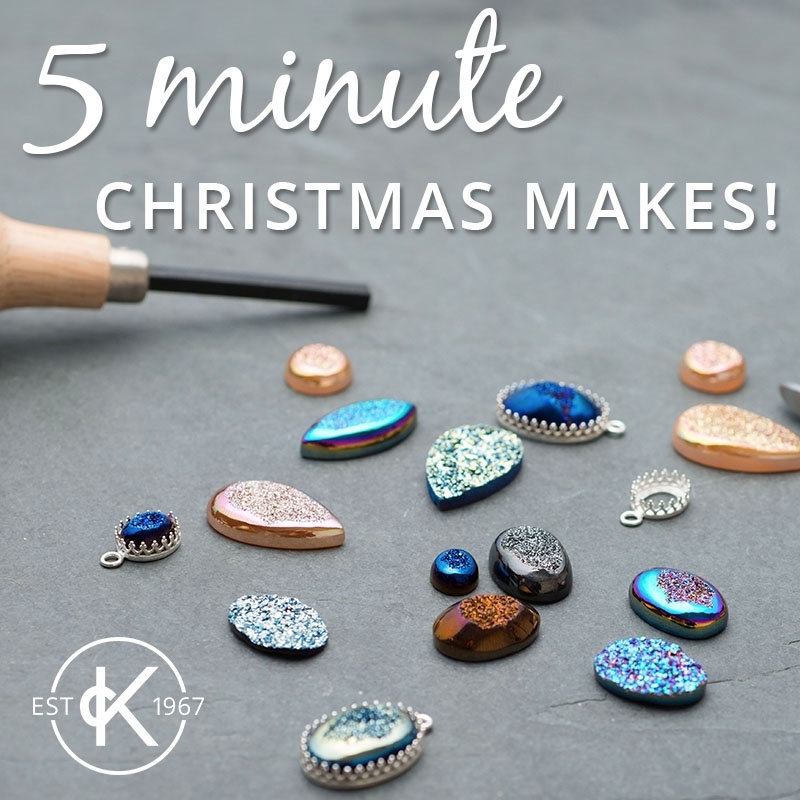 After creating your handmade Christmas gift, it's time to present it with something special. 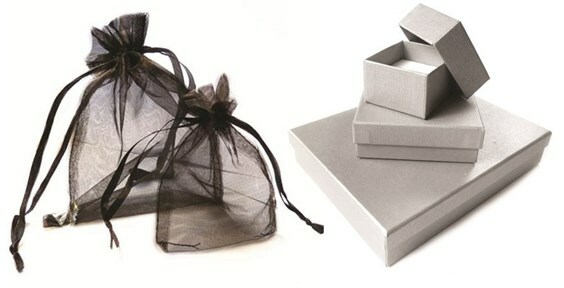 Whether you choose a simple gift bag or a luxury presentation box, the choice is yours! We have a whole range available, just take your pick. Struggling to find the perfect gift? 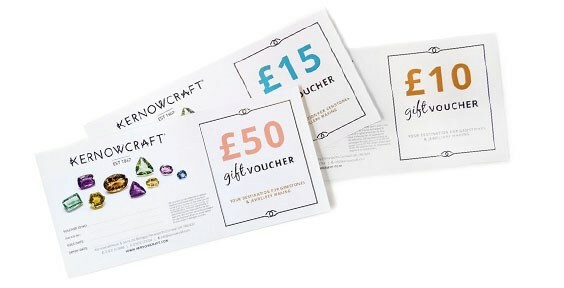 A jewellery making gift voucher could be the best present to give this Christmas. If you have a creative person in your life who loves jewellery, or you think they'd love to give it a try, why not give them a gift voucher to enjoy. It could be their new year project!